- All chapter is focused on C Block. - All important fighters from C Block are presented. - Don Chinjao has Haoshoku Haki. - The bounty hunter Jean Ango knows Lucy is Luffy. Coribou is reunited with his brother, hugging him. Caribou is reminded of their dead mother, who told them brothers should get along no matter what happens. As the crowd cheer in amazement at Lucy's OHKO of the giant, surprised at his capable fighting, Caven frowns saying "of course he can.." while Barto is smiling intimidatingly. Rebecca is surprised, just like the crowd. Ideo walks up to the unconscious giant, saying this is a ring... he should sleep elsewhere. He then punches the Giant out of the ring. Destruction Cannon Ideo, champion of the Central Martial Arts club in New World. He has a really tall shoulders sticking up higher than his head, and throws out devastating explosive punches. He wants the Mera Mera fruit to become even stronger. Meanwhile the Chinjao trio are also wrecking gladiators up. Sai fights with acrobatic movements and "Hasshouken", the Eight Impactful Fist style kung-fu, that sends direct impact of vibrations into any foes they touch, rendering any form of armor or shield useless. Sai is the 13th head of the Happou Navy, while his brother Buu is the 2nd in command. Chinjao is the 12th head (retired), and several fodders go for the head of the legendary Chinjao, but he knocks them all out with CoC. Jean Ango is scavenging the loot off the fallen fodders, collecting weapons. He's known as Bounty Hunter Jean the Robber, and is hated by pirates all over. One such pirate comes after his head for sending one of his buddies to be locked up forever, but Jean uses weapons like "bullets", and throws them at the pirate, taking a chunk out of his flesh. His skill seems similar to Bullseye from Marvel comics. He then tells the pirate if he cares for his buddy so much, why not infiltrate the jail.. like a certain moron 2 years ago. Kerry Funk is punching the crap out of a fighter, who is already knocked out. He's pissed at the fighter for calling him a shorty. They keep doing this like a comedy routine. Buu goes over to the two brothers, provoking Terry calling him a shorty. He punches Terry with the vibration punch, and easily knocks him out. He goes after Bobby, who claims he's not going to fight, he's never even been in a brawl ever since birth, but attacks him with an axe anyways. Bobby cowers, but the axe breaks off, not leaving a scratch on Bobby... even though Buu had used CoA on the axe! It seems Terry is the hot-headed fighter, but weak. Bobby is the pacifist, but insanely strong body. In the next page, Buu is shown beaten to a pulp by a hulking figure... with the body of Bobby an face of Terry! Meanwhile Jean Ango stole Lucy's helmet. Hey "Lucy", I heard a strange rumor... I heard the Straw Hat Luffy is hiding somewhere in this tournament! Dededede! At the same time, Don Chinjao locked onto Luffy and juggarnauts through the fodders to Lucy. 40 left in Block C, who will be the winner? Edited by tenchu, 16 July 2013 - 11:26 PM. - Boo takes revenge for his brother and defeats Funk Brothers. - Boo and Ideo fight hard but they are defeated by Luffy and Don Chinjao with hardly any effort. Kelly Funk, the assassin from Mogaro, is taking out the nameless fodders. Boo is on the ground beaten, Chinjao tells Sai to return that brat (Kelly) the pain his brother felt. Short flashback to last chapter, one of the fodders saw Kelly turning into flat, jacket... and worn by Bobby. Jacket Jacket Fruit can control any being when worn... be it wild beasts or monsters, it doesn't matter. Kelly tells Sai how they are brothers who work as a team, but you... you couldn't even save your own brother! Sai tells him the moment they entered the School of Eight Impact style, they cast away their brotherhood ties. Boo simply wasn't cut out. Kelly does a rapid punch rush (Rararararararara Rambo), but Sai dodges all the attacks, even using Kelly's punches as stair steps to jump high, and knock out Kelly in a single punch. Despite him claiming brotherly ties are broken, he'll still avenge a fallen subordinate. Chinjao tells Luffy he must pay for Garp's sins. How Garp stole his vast wealth.. how he took away his memories of his youth, his strength, everything. Luffy has no idea what he's talking about, tells him to take it up with grandpa, but Chinjao says death is too good for Garp. Meanwhile, Jean Ango thanks Luffy for everything. In the last two years, he made quite the living because of his escape from Impel Down. Jean spent the 2 years hunting down the Impel Down escapees, catching dozens of them. He plans to complete his task by catching everyone, including Luffy, Buggy, Jinbe, Croc, Iwankov, Shiryuu. Luffy casually dodges his attacks, wondering how Iva's doing. Jean claims he even knows the whereabouts of the Level 6 escapees! 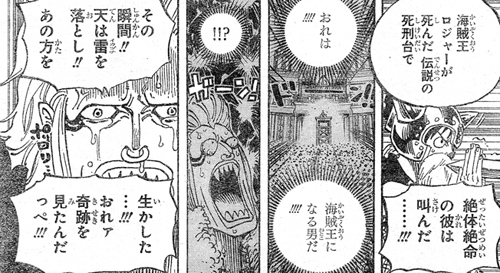 Luffy is surprised there were others who escaped from level 6. "Cut that out, it hurts!" Chinjao brutally takes out Jean with one hit. Jean is sent flying outside the ring. Meanwhile, Ideo and Sai are fighting a martial art battle. Both of them are expert martial artists. Ideo is taking quite a damage from Sai's Eight Impact attacks, while Sai is equally taking damage from his cannon punches. The fight seems pretty even. However, Chinjao and Luffy are coming at each other from behind both contestants. It's a lot like when Shanks and Whitebeard clashed, and the impact split the heavens. Diamante notes this is a clash of the CoC. Only 2 left in block C! Luffy and Chinjao's clash knocks out other contestants, but the announcer doesn't understand what's going on. 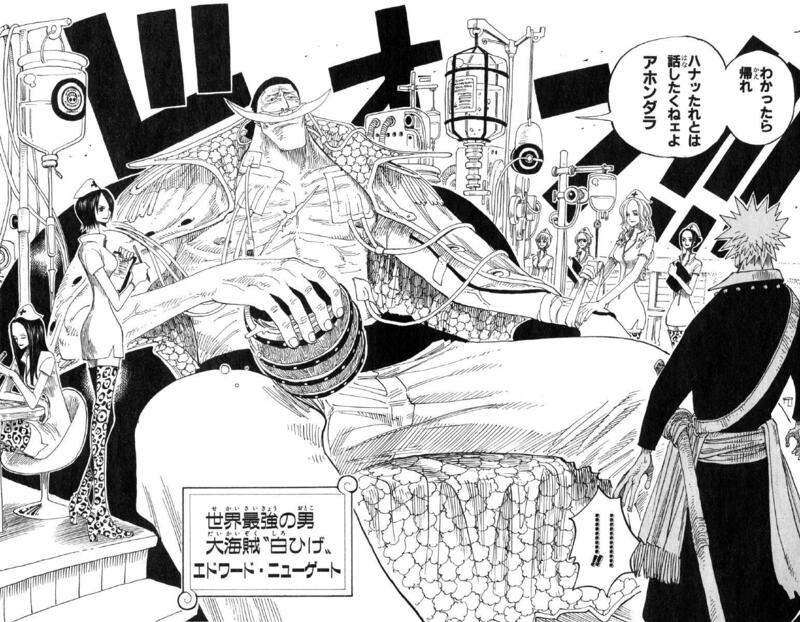 Chinjao asks what kind of "king" is Luffy desiring to be, with that Conqueror's aura. Luffy answers Pirate King, of course. The old man replies there are plenty of those with the quality of king in the sea ahead. 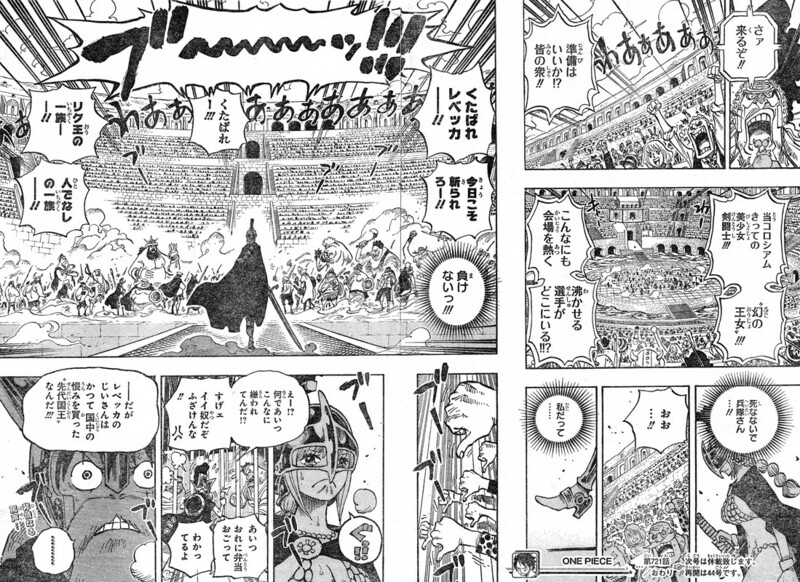 The Pirate King is decided by these conqueror haki users clashing for the top. He asks Luffy who taught him Haki, and Luffy answers Rayleigh. Chinjao shows clear distaste at the mention of the name, noticing the Dark King still lives. He then enrages saying he doesn't want to be reminded of the past. He then bursts out in tears, crying about the lost treasure of his. The old days when he was known as Chinjao the Gimlet (or a drill, auger, etc) is long past... answer me, what did Garp do to me! Kin'emon and Sanji sees Luffy's fight on the TV screen. Kin wants to hurry up and get to the Toy House to rescue Kanjuro, but the two see a large crowd of marines surrounding the Colosseum. The marines led by VA Bastille are waiting for the criminals to exit the Colosseum so they can arrest them on the spot. the VA is notified they lost contact with Maynard, and he grumbles at the young VA's brash action. Meanwhile, the one-legged soldier explains Franky on the law of the land since Dofla took the throne a decade ago. No one is allowed to go outside after the midnight curfew, and humans and toys must live in their respective houses. They are never to enter each others' houses. Franky is surprised at this segregation, it seemed like humans and toys were getting along fine. He figures it must be some barrier between the living humans, and non-living toys. He asks the toy soldier who exactly is the scientist who created them? He must be on Vegapunk's level! The toy soldier doesn't answer... instead the duo comes across an argument. A woman is screaming for help, saying the toy in front of her has caught the "human illness". The toy insists he is her lover, not the man she is with. He calls her by her name Esta, and insists he is a human and her lover. She is creeped out by the toy she considered her friend, and the toy is taken away by a pair of Dressrosa soldiers. The duo comes across a toy dog playing with a child, with his mother watching over. The dog Wanpoko barks and plays with the child, as the one-legged soldier approach him. The soldier asks "WHO are you?" The dog whispers to the soldier that he is actually the boy's father, and the woman's husband. His name is not actually Wanpoko. The soldier approach the boy and asks him about his father, but the boy answers he doesn't have one. He then approach the woman and asks her about her husband, but she answers she's not even married. Franky looks confused. The soldier explains him that there are "forgotten ones" and "ones who forgot" here in Dressrosa. The toys were humans once... changed to toys by a certain "Devil Fruit user" (this part is dotted for importance) Dofla brought along. The garden is near... I'll explain you everything there! Meanwhile, Fujitora, Dofla, and Law's fight. He asks the dwarfs why they're going to fight Dofla, and they answer to free the 500 comrades forced to work in the dark factory. He then tells Usopp that Noland would help those in need right? Usopp answers of course he would, that's what Heroes do! So will I! The dwarfs are ready to deploy for battle, final battle at the dark factory... located beneath the Colosseum! Edited by tenchu, 06 August 2013 - 10:39 PM. One is a bee woman, and other, a Rhino Bettle man. The chapter likely ends with the dwarves charing out. Nami thought her Clima-Tact had been turned into a toy but Jora corrected it saying the person who can turn things to toys is another family member. Edited by Furinji Saiga, 16 August 2013 - 04:36 AM. I've left the source and removed the pics. If this is a problem too, I'll delete this also. Edited by eemo23, 16 August 2013 - 08:21 AM. ​- Don Chinjao recovers from Luffy's attack and talks to Luffy. He despises Luffy very much. - ​​​​Don Chinjao´s flashback begins. His head was pointed originally. He looks like Patrick Star from SpongeBob SquarePants. - His family had a frozen island with a huge treasure under the ice. The ice can opened only by with his headbutts. - Garp and Don Chinjao fought. Garp´s punch deformed Don Chinjao head, because of this he couldn´t smash the ice and get the rest of treasure. - Back to the Present. Luffy attacks Don Chinjao with Elephant Gun. Don Chinjao does the same with his head​. - Luffy´s attack crashes with Don Chinjao head that recovers his original form (the pointed form). Edited by tenchu, 26 August 2013 - 10:36 PM. - Chinjao thanks Luffy with a headbutt but destroys floor accidentally. Chinjao wants his grandchildren's generation to join Mugiwara crew. - Bartolomeo became Luffy's super fan after he saw Luffy survive a lightning strike in Loguetown. - Rebecca helps Luffy to escape from Cavendish and Chinjao. - Burgess and Blackbeard talks to each other by Den Den Mushi. 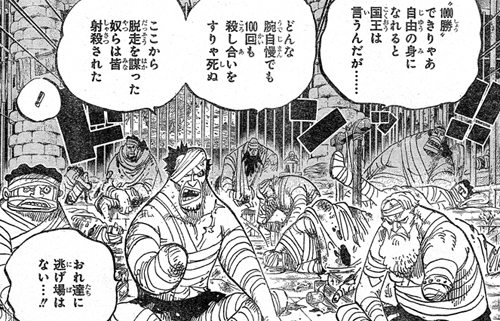 Burgess tells Blackbeard that he dones't trust Aokiji. And then Luffy passes. Luffy says he won't give Ace's power to Blackbeard. - In the End. Rebecca tries to kill Luffy but fails. Rebecca wants to get more opportunities to eat Mera Mera no Mi because she wants to beat Doflamingo and protect Toy Soldier. Kehihi: Caribou and his men attack Scotch to free the old women and the revolutionaries. The announcer of the Colosseum says start of D block will be extended by 15 due to repairing of the broken stadium. Some nameless fodder gladiators hears the name "Straw Hat" and gossips. Bartolomeo overhears them, and gets pissed. He squashes the gladiator against the wall with his barriers, and says Luffy sempai is the future Pirate King! He's going to carry this entire generation on his shoulders, how dare you laugh at him! He cries as he recalls seeing Luffy for the first time in Logue Town, seeing the miracle there. But it's when he saw Luffy in the Marineford War that he decided to set sail. 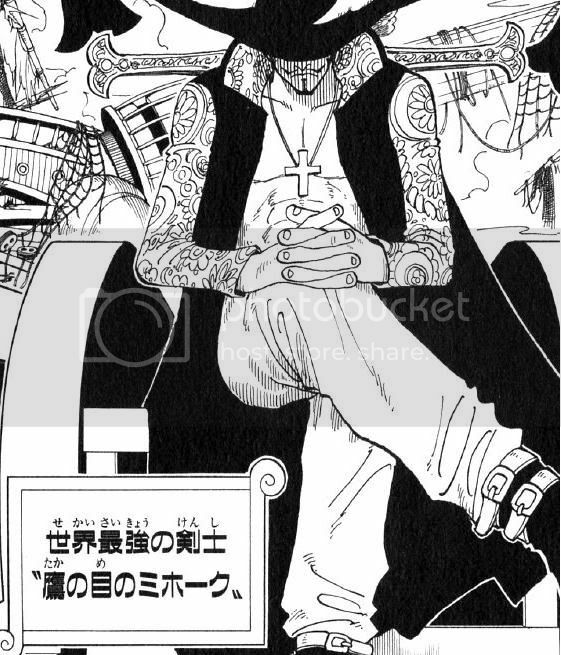 He was nothing but a small time crook (lol not really) who was in charge of the underworld of 150 towns, but decided to take up the life of a pirate and follow Luffy. He then yells at the gladiator once again, and stabs him with a knife. Caven tells Luffy to let go of the sword, but Luffy complains he's freakin' tired and has no wish to fight. The nameless gladiators around cannot stop their fight, and Barto is hiding behind a wall and staring at Luffy. He's too nervous to get close to Luffy, and can't even raise his voice to tell off Caven. Chinajo appears, supported by his two grandsons. He has something to tell Luffy, but he's too tired to speak out loud. Instead, he bows and tries express his thanks, but his long head splits the floor in half. Thinking he's being attacked, Luffy runs away. Rebecca comes to help Luffy out, and pulls him away to somewhere. They run and come across Burgess, who's talking on the Den Den mushi with his boss. 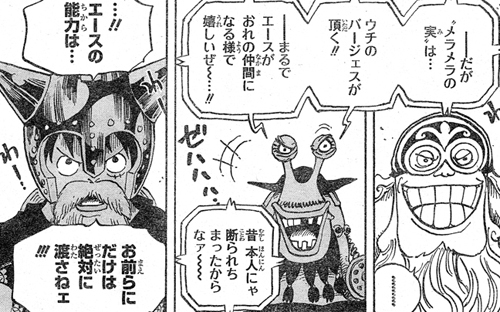 Burgess complains that he can't trust Aokiji, but Blackbeard tells him it's no different than with Shiryuu. Burgess notices Luffy, and lets his boss talk with him. Teach greets Luffy the tells him his man Burgess will take the Mera Mera fruit. He says it's like as if Ace is joining me. He asked him before, but was rejected. Luffy swears they will not get his brother's fruit, especially not you! Rebecca and Luffy moves along, and Rebecca buys him a lunch at the food court. She brings him to the cell where the gladiators live. He offers her the food, but she rejects. A gladiator's arm comes out of the cell and grabs Luffy, then tells Rebecca this is the chance, isn't this why you brought him here? She hesitates a split second, but draws her sword and attempt to stab Luffy. Luffy takes down the thug behind him, and dodge her sword. He then easily takes her down on the floor. Luffy looms over Rebecca as he continues to eat. He says he'll forgive her, since she bought him food. And it's not like I died. The gladiators in the cell are all battle-beaten, some missing limbs, and wrapped in bandages. They are Prisoner Gladiators. They opposed the Family for minor disobedience and was thrown into this cell. They have to win 1000 battles to be freed, but by the time any warrior reach a hundred battle, he/she is dead. Some have attempted to escape, but were killed as well. They say before 10 years ago when Dofla took over the throne, the Colosseum gladiator fights were not fights to death. Rebecca knows about the one-legged solder's plan to revolt today. She tearfully tells Luffy she wants to slay Dofla herself before that, as she wants to be the one protecting the soldier - and no longer relying on his protection. Edited by Furinji Saiga, 04 September 2013 - 01:38 AM. Toy Soldier has a Wanted poster with the name "Thunder Soldier". 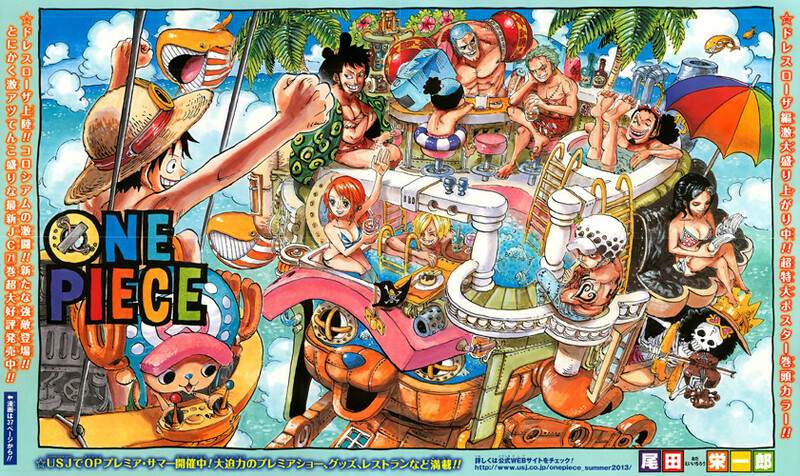 Edited by randomonepiecefan, 10 September 2013 - 03:01 AM.